Heat oven to 350 degrees. 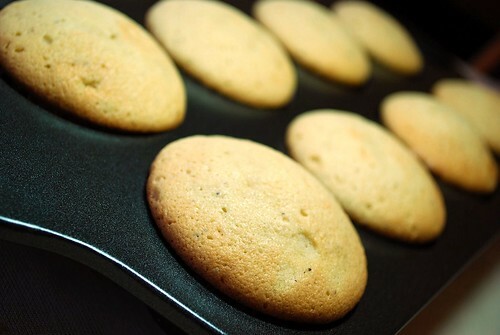 Grease and flour 2 round layer pans or a 9×13 pan. Beat all ingredients in large mixer bowl on low speed, scraping bowl constantly, for 30 seconds. Then, beat on high speed, scraping bowl frequently, for about 3 minutes. Pour into pan(s). Bake until wooden pick inserted in center comes out clean, 9×13-40 to 45 minutes, layers-30 to 35 minutes. I have used this recipe countless times as a basic yellow cake. The Eggnog variation of Betty Crocker’s recipe instructs that you add 1 teaspoon of nutmeg, 1/4 teaspoon of ginger, and a teaspoon of rum flavoring to the recipe. Based on this information, here’s what I came up with! 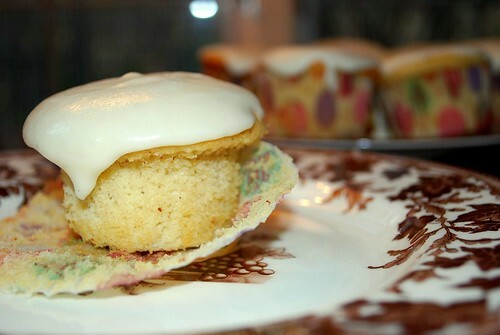 My special Eggnog Cupcakes!!! Heat oven to 350 degrees. Line cupcake tins with your choice of liners (I used some of my football cupcake liners since it was close to the Superbowl), or grease with cooking spray. Set aside. Beat all ingredients in large mixer bowl on low speed, scraping bowl constantly, for 30 seconds. Then, beat on high speed, scraping bowl frequently, for about 3 minutes. 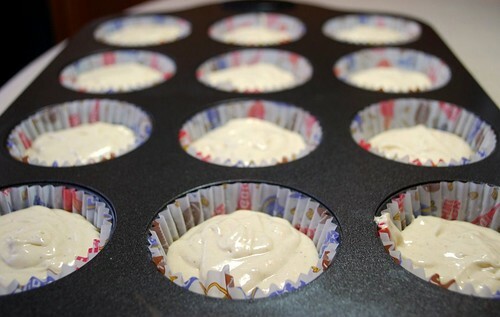 Fill the cup cake tins about 2/3 of the way full with batter. 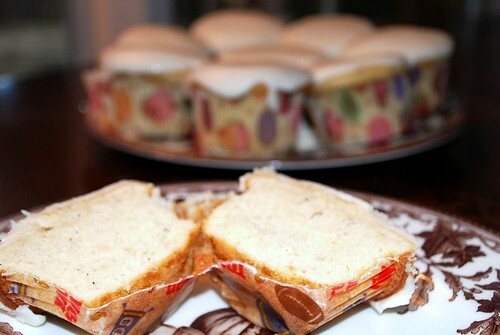 Bake until wooden pick inserted in center of cupcake comes out clean, about 20-24 minutes. Blend all ingredients together until smooth and creamy. Then, frost your cupcakes! I also added a sprinkle of nutmeg on top of the frosting, just for dramatic effect. 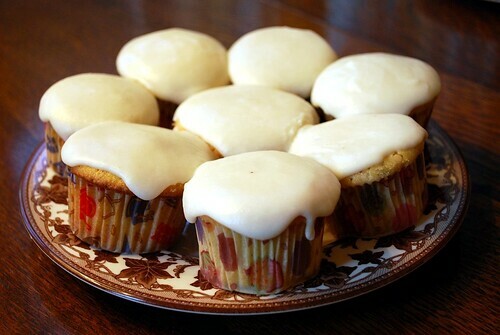 I added a bit of extra cream to make the icing nice and gooey – almost like a very thick, luxurious glaze.